Mold is not unique to any business, building or structure. Mold can grow anywhere, affecting everyone from tenants, pets and employees to homeowners, property managers and building owners. In recent decades, increased awareness of the dangers of mold has made this spongy fungi more unwelcome than ever. In fact, in an Institute of Medicine study on building dampness and mold, experts found that about half of U.S. homes have visible evidence of a dampness problem or mold contamination. They also found that 45 percent of U.S. office buildings had water leaks and 30 percent of schools had plumbing problems—all of which provide fertile breeding grounds for mold. So what does this mean for building owners? To help you understand its effects, let’s break down everything you need to know about mold exposures. Molds are fungi that are commonly found both indoors and outdoors. According to the U.S. Centers for Disease Control, no one knows how many species of fungi exist—but estimates range from tens of thousands to three hundred thousand or more. While some molds can produce toxins, the mold itself is not toxic or poisonous. The term mildew refers to a particular mold—a white or grayish compound that often grows in shower stalls or bathrooms. Inside: Showers, basements or other high-humidity places. Outside: Damp or shady areas or spots with decomposing leaves. What are the health dangers of mold exposures? Mild sensitivity. Some people are a little sensitive to molds and may have symptoms such as red, itchy eyes, wheezing, a stuffy nose or irritated skin. Severe reactions. If someone is allergic to mold or suffers from asthma, their symptoms may be more dramatic. Severe reactions are also common in workers who have been around large amounts of mold for extended periods of time — like farmers working near moldy hay, or hospitality employees who spend a lot of time in an infected building. These symptoms may include shortness of breath or fever. In some cases, mold or dampness can lead to the development of asthma. Weakened immune reactions. Mold infections are most common in people with weakened immune systems. If someone is receiving cancer treatment, medicines to suppress their immune system or need or recently received an organ transplant, that person is at much higher risk. If mold has infested a property, tenants may choose to seek legal action—especially if the mold is toxic. Toxic mold lawsuits are known to be very complicated and can pull in a wide array of plaintiffs, defendants, witnesses and specific medical and scientific experts. This can quickly become debilitatingly expensive. Mold in the Broward County (Fla.) Courthouse, for example, led to a $166,500 settlement payment and another 19 lawsuits. High costs. Often, professionals can clean up mold before it becomes a health hazard. But in other cases, particularly if you cannot identify the source of the mold growth, it can become a persistent, costly challenge. Not only will you have to clean and remove the mold, but mold removal companies may have to correct your moisture issue by installing proper ventilation and drainage systems. Property damage. 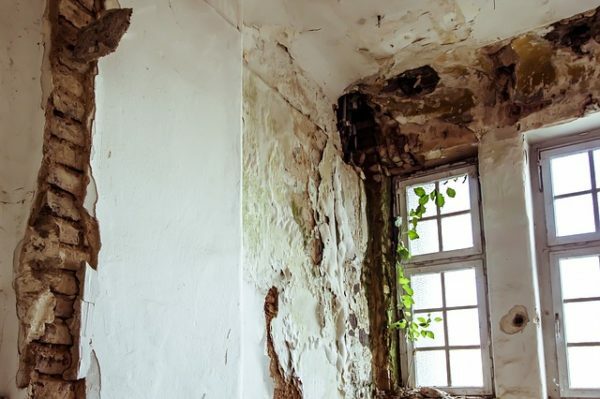 Due to its ability to decompose matter, mold can drastically alter the appearance and structure of your home—ultimately lowering the property’s value. Few buyers or renters are interested in investing in facilities with mold infestations (without a healthy discount, at least). Damaged reputation. Even if you go through all of the processes and procedures to properly remove mold, human fear will kick in. Most people won’t want to be in a place known for mold problems—which means your business, and reputation, could take a severe hit. When it comes to limiting mold exposures and the serious damages that occur with it, be proactive—test for air quality, get your ventilation system inspected and make sure you’re adequately insured. If you do suspect you have a mold problem, it’s crucial that you address it right away.